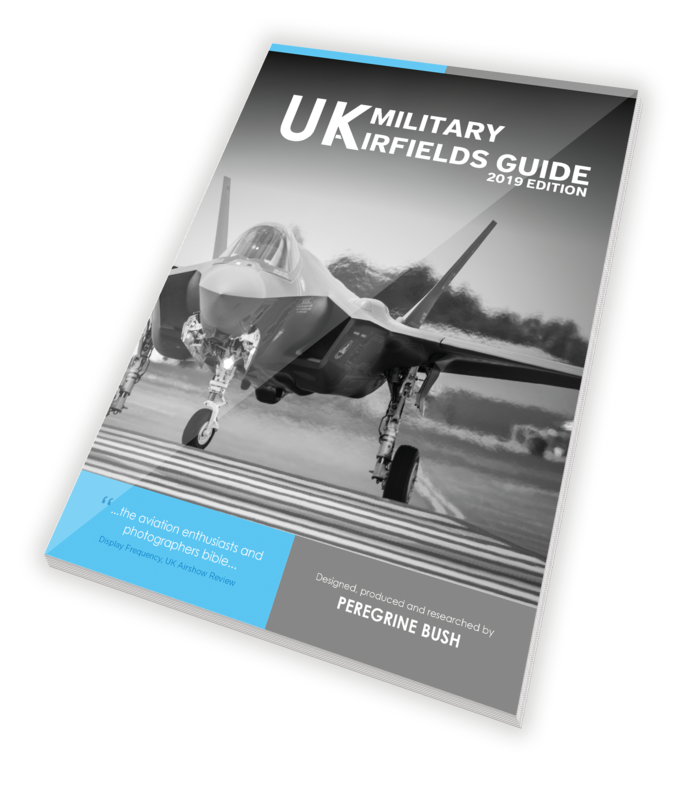 All the photographs in this section are taken at UK military airfields up and down the United Kingdom. The majority are active military establishments operated by the Royal Air Force, British Army and the United States Air Force. The passion for the these airfields spreads many years and even though today they are not as busy or have as many diverse aircraft operating from them they still provide an excellent places for avaition photography. The following Squadrons are based at RAF Coningsby: No 3(Fighter) Sqn - The First Front Line Typhoon Squadron; No XI Sqn - The first multi-role Typhoon Squadron; No 17(Reserve) Test and Evaluation Squadron; No 29(Reserve) Sqn - The Typhoon Operational Conversion Unit and; No 41(Reserve) - Test and Evaluation Squadron. The Battle of Britain Memorial Flight which operates five Spitfires of various Marks, the only flying Lancaster in Europe, two Hurricanes, a Dakota and two Chipmunks. Although an RAF station, it hosts United States Air Force units and personnel. The host wing is the 48th Fighter Wing (48FW), also known as the Liberty Wing, assigned to United States Air Forces in Europe (USAFE). 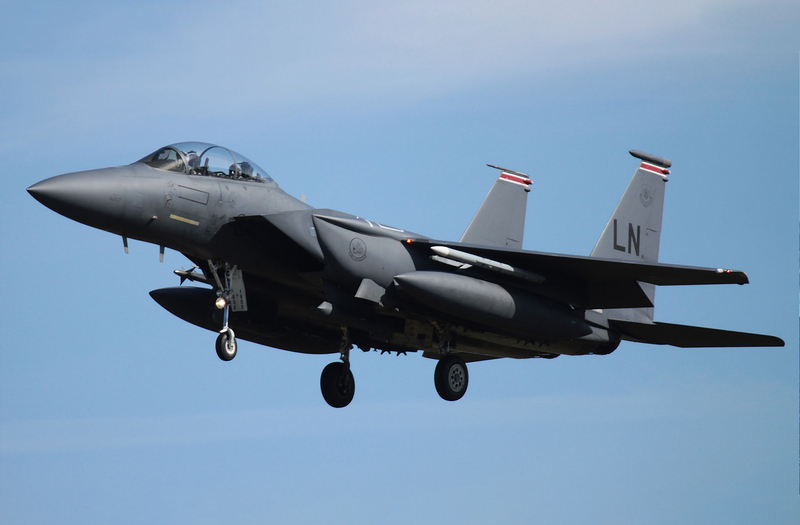 The Wing operates 4 squadrons - 492FS F-15E, 493FS F-15C/D, 494FS F-15E and 56RQS HH-60G. One of the busiest training airfields in the RAF, No 1 Flying Training School operates no fewer than 78 Tucano T1s at Linton-on-Ouse, providing basic flying instruction. Some aircraft are in the markings of No 72 (Reserve) Squadron. Despite its status as an RAF station, it primarily supports United States Air Force operations and is currently the home of the 100th Air Refuelling Wing (100ARW) operating the KC-135R/T with 351ARS and the 352nd Special Operations Group (352SOG), split into two squadrons. 7SOS operates the MC-130H and the 67SOS operates the MC-130P. The 352nd is now upgrading its equipment to MC-130J Commando II and CV-22B Osprey. Additionally the 95RS operates RC-135 aircraft under the 55th Wing from Offutt AFB, Nebraska. The largest unit based at Valley is No 4 Flying Training School, which operates Hawk T2 aircraft, and incorporates the Central Flying School Advanced Training Unit. Some aircraft of No 4 FTS can be seen in the colours of No 4 Squadrons. Valley is was home to “C” Flight of No 22 Squadron equipped with 2 Sea King HAR3s for Search and Rescue duties, and the Search and Rescue Training Unit, which operates 3 Griffin HT1s. Wattisham in Suffolk, a former RAF station is now operated by the British Army. The station is home to the Army Air Corps fleet of Apache AH1 attack helicopters. The RAF still had a presence operating Sea King HAR3A Search & Rescue helicopters until August 2015 when the services was taken over by civilian contractors. Within this page you will find the other airfields that have been visited but not on a regular basis. These, amongst others include Cottesmore, Lyneham and Coltishall. Following a radical shake up of the UK armed services these airfields have no been closed.